Particle Analytical has specialised in determining particle sizes for more than a decade, working with every size and type of particle and able to solve almost any issues that relate to this scientific discipline. Furthermore Particle Analytical is approved by Malvern to perform cGMP analysis of particle size and distribution using laser diffraction. Particle size determination is a key issue in control of all pharmaceutical compounds. By laser diffraction analysis it is possible to measure particles sizes between 0.02 and 2000 µm. The sample is dispersed in either air or a suitable liquid media. The laser passes through the dispersion media and is diffracted by the particles. The diffraction light pattern (He-Ne laser) is dependent on the particle size. The laser diffraction pattern is measured and correlated to the particle size distribution based on Fraunhofer or Mie theory. Primary particles are vacuum dispersed in air or liquid on object glass prior to image analysis and magnified up to 1000 times. Microscopy and digital image analysis can be used for determining particle size distribution, shape (e.g. aspect ratio between breadth and length), dispersal in liquid or air, observation of foreign particles in the sample or measurement of object sizes (e.g. mesh size of sieves). Particle Analytical uses optical microscope for 40 to 1000 times magnification and macroscope for 3.5 to 90 times magnification, both combined with digital photography of enlarged images. The images are processed with Image-Pro Plus software from MediaCybernetics. The measurement of the particles is thus operator independent and reproducible. All images are stored for complete documentation. 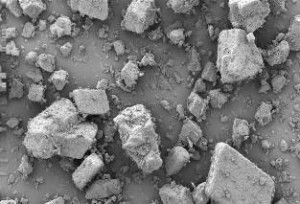 Particle Analytical uses Scanning Electron Microscope (SEM) with Secondary Electron detector for visualisation of crystal shape, surface morphology and structure of particles or agglomerates and the evaluation of product surface characteristics. Typical size range is ~0,1 µm to a few mm. Particle Analytical uses Micromeritics Gemini 2375 and Gemini V equipment for Brunauer, Emmett and Teller (BET) analysis that allows the specific surface area of a sample to be measured – including the pore size distribution. This information is used to predict the dissolution rate, as this rate is proportional to the specific surface area. Thus, the surface area can be used to predict bioavailability. Further it is useful in evaluation of product performance and manufacturing consistency. The specific surface determined by BET relates to the total surface area (reactive surface) as all porous structures adsorb the small gas molecules. The method used complies with Ph. Eu.2.9.26 Method II. At Particle Analytical we are able to perform various complementary analyses to determine particle size distribution and other particle characteristics such as stability, hygroscopicity etc. As most particles are not actually spheres, the value obtained by different techniques will vary and therefore a series of complementary analyses is normally required, with results accompanied with details of the applied technique and method. Only then can accurate predictions can be made about substance behaviour with regard to solubility, etc. Particle Analytical performs initial screenings and routine analysis (laser diffraction, microscopy, SEM etc) with full method validations in two weeks. 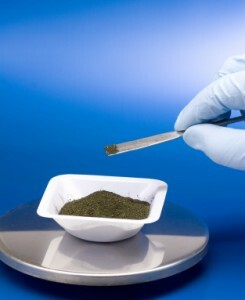 For more information about particle size determination, please contact Particle Analytical directly.